Jordanians protested outside the US Embassy in Amman for the sixth Friday in a row, where they vented their anger on President Donald Trump for declaring Jerusalem as the official capital of Israel. 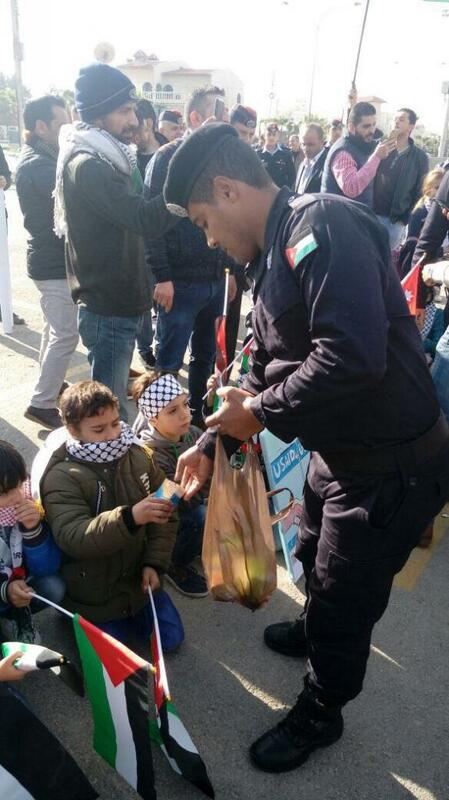 During the peaceful protests, policemen from the Public Security Directorate handed out sweets and juice boxes to children from the Al Nasser Orphanage, who joined the patriotic protests after Friday prayers. 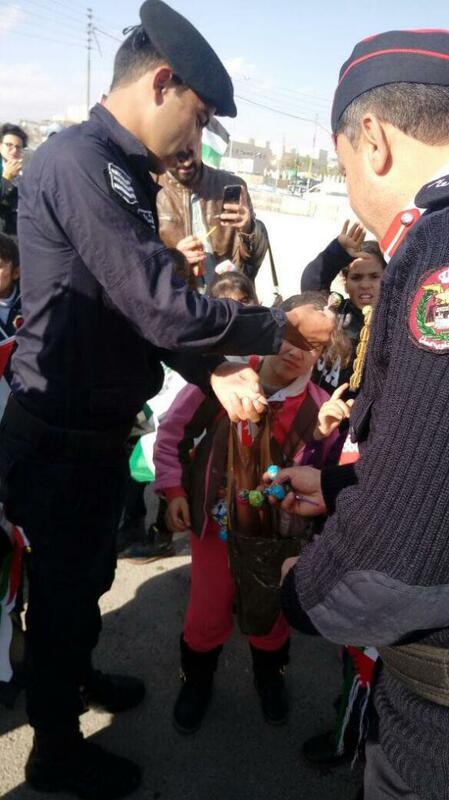 The kids, who were carrying Palestinian flags, gathered around the policemen in excitement to receive their candy.